29 December 2014 / Donn King / Comments Off on Who are you talking to? Do you ever have conversations with someone else in your head? Someone real, or maybe even someone fictitious? Surely I’m not the only one who does this. 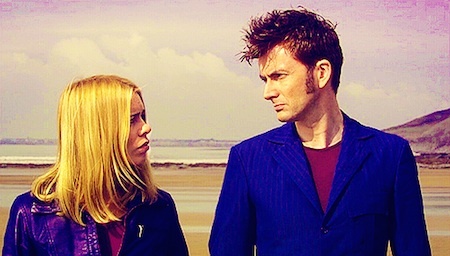 I think I was talking with Ten because yesterday I caught one of the “major” episodes with a particularly tearful incident involving The Doctor and Rose. (The Doctor has had a series of companions that… oh, never mind. Just watch the show. It’s on Netflix, Hulu Plus, and Amazon Prime.) I got all teary-eyed all over again. Just in case you’re wondering, yes, I do clearly know that Rose and The Doctor (all of them, the 13 incarnations and the War Doctor and Handy, and…. sorry, never mind) are fictitious. So right after that conversation, I wondered why it is that we can get so attached to someone from a television show or a movie or a novel (admit it, you have someone like that–Harry Potter, anyone?) who isn’t real. And at the same time, how it is that we can fail to get attached to real, live human beings. Or else can get disappointed in them when they turn out to be someone other than who we thought they were. That suggests the key: we never get attached to any human, real or fictitious. Not the person. We get attached to our stories about those people. At the story level, real and fictitious people are the same. This is not a bad thing. It’s just the way reality works. Alfred Korzybski, the father of General Semantics, pointed out among other things that the map is not the territory. Since we’re not mind-readers, we can never directly observe the territory that is the other person. We can only deal with the maps we create of that territory, which is always an indirect observation, always partial, always skewed, always filtered through our own ideas and prejudices. This realization is at the heart of The Work of Byron Katie, her method of inquiry that allows us to free ourselves from the grip of our own stories. There are two really important insights from this that we’ll explore in more depth in later posts. You don’t deal with other people; you deal with your stories about other people. You also deal not with true self-knowledge, but with your stories about yourself. Many of the plots in Doctor Who revolve around the concept/question of whether time can be rewritten. I don’t know about all that, although there are some indications in science that time travel might actually be possible. But I do know that your stories can be rewritten. And like stories throughout the ages, the key question is not whether they are true in the sense of being factual. It is more important that they be true-to-life, that they be useful. How useful are the stories you tell yourself?